As much as we might love the look of sky-high stilettos, they just don’t work for prolonged periods of time. It’s the rare Carrie Bradshaw type who can walk around in high heels 24/7 — and let’s not forget, she was fiction. Those who prefer to save their vertiginous high heels for fancy occasions (weddings, special dates, events involving a lot of sitting) can opt for equally chic lower heels. There are plenty of options considering the popularity of micro heels. The start of the low-heel trend can be linked with the resurgence of mules and kitten heels. Kitten heel slingbacks, in particular, proved to be a hit last season. 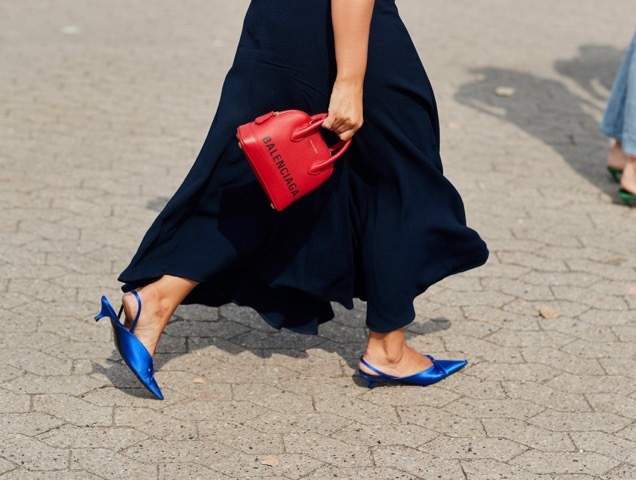 The looks for Spring 2019 still qualify as kitten heels, but the term micro heels covers everything from skinny nib heels to chunkier baby block heels. The shape and width of the heel might vary from style to style, but the thing that remains constant is that baby heels provide a bit of lift. We’re talking an inch or two — and sometimes less. The hint of height prevents hems from dragging, gives the wearer the confidence of a power heel and can be worn to dash around in. Walk without fear of foot pain or wobbly ankles in these 15 micro heels.